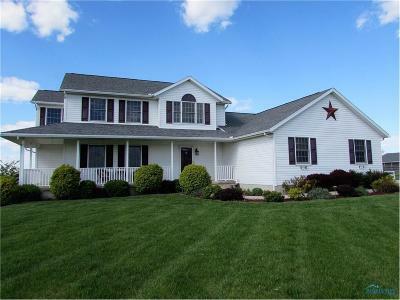 Beautiful and completely updated home on 5.1 acres! Open floor plan in kitchen, dining area, and living room. Amazing kitchen offers Granite counter top, backsplash, appliances, cabinets, fixtures, and flooring. First floor master bedroom has updated master bath has granite counter tops, vessel sinks, tile flooring, jetted tub, separate shower and walk in closet. Fenced Yard, Large Shed, and Pool!